Massapequa is a hamlet and census-designated place (CDP) in the southern part of the Town of Oyster Bay in southeastern Nassau County, New York, on Long Island, east of New York City. Venture out of the city with trips to Woodbury Common Premium Outlets (in Central Valley), New Haven (Beinecke Rare Book & Manuscript Library, Yale University, & more) and Kykuit (in Sleepy Hollow). The adventure continues: immerse yourself in nature at Jones Beach State Park and enjoy the sand and surf at Tobay Beach. To find traveler tips, where to stay, more things to do, and other tourist information, go to the Massapequa vacation builder tool . New York City to Massapequa is an approximately 1-hour car ride. Traveling from New York City in November, plan for a bit cooler nights in Massapequa, with lows around 39°F. Finish your sightseeing early on the 11th (Sun) so you can travel to Kissimmee. 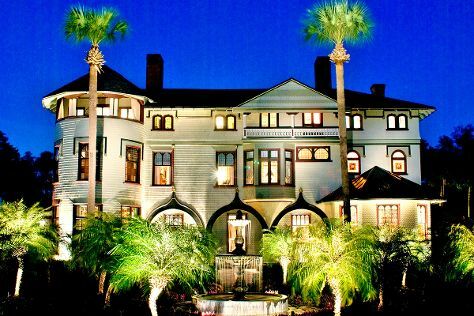 Get out of town with these interesting Kissimmee side-trips: Stetson Mansion (in DeLand), Legoland Florida Resort (in Winter Haven) and NASA Kennedy Space Center Visitor Complex (in Titusville). There's still lots to do: explore and take pictures at Daytona International Speedway, wander the streets of Old Town, enjoy some diversion at Machine Gun America, and stop by Ron Jon Surf Shop. To see maps, where to stay, reviews, and more tourist information, refer to the Kissimmee trip planner . Explore your travel options from Massapequa to Kissimmee with the Route module. Traveling from Massapequa in November, things will get warmer in Kissimmee: highs are around 78°F and lows about 62°F. Finish your sightseeing early on the 16th (Fri) to allow enough time to travel back home.